With the majority of consumers beginning their buying process online, it’s crucial for your engineering firm to have an established online presence. The inbound marketing methodology has established itself as the optimum way to gain attention from your target audience, in a way that is less intrusive than traditional marketing. Inbound marketing also grows online awareness, garnering trust and generating leads for your engineering business. With content being the cornerstone of a successful inbound marketing campaign, your engineering firm can establish itself and gain recognition online. By publishing eBooks, white papers and blog posts, relevant to your customer’s pain points, you can drive visits back to your website. If your prospects value the information and find your content interesting, there’s a good chance they’ll share it on their social pages too, further expanding your online reach and brand awareness! The more content you publish, the greater the online reach you will have. The majority of consumers are no longer won over by the outdated marketing techniques of cold calling and irrelevant, spam emails. Inbound marketing eliminates disruptive advertising and allows your engineering company to win over the trust of potential clients rather than irritating them. By focusing on how you can help your buyers, providing them with useful tips, “how to” blog posts and eBooks, they will view you as a trustworthy firm, and one they will consider when they are ready to purchase. The content your engineering firm publishes online and across your social media platforms will create valuable relationships with potential customers. When prospects click to read your blogs, they will be directed back to your website, increasing the number of valuable leads for your engineering company. Hence, the more frequently you post content the better! Leading on from the above point, when leads arrive on your engineering website, you have to ensure they are encouraged to move further down the sales funnel towards making a purchase. Attractive content offers, optimised landing pages, well placed CTA’s and user-friendly forms will help you to gather important prospect information; providing you with a better understanding of their requirements and pain points. This valuable info enables you to nurture the relationship over time, gaining their trust through shared knowledge, tailored emails, and useful resources. Marketing and sales are infamously conflicting departments, often with a lack of communication, regardless of the importance of their alignment for business success. Inbound marketing, however, encourages both departments in an engineering firm to join forces by simplifying both their roles. In order for marketers to create content that prospects will find valuable and want to read, input from sales is paramount. The sales department have a deeper understanding of what exactly customers require at the various stages of the buyer’s journey, providing marketers with a much-needed insight to create appealing content. Both sales and marketing teams can then use this tailored content in the four stages of attracting, converting, closing and delighting their customers. Learn how to align sales and marketing in your engineering firm in more detail. 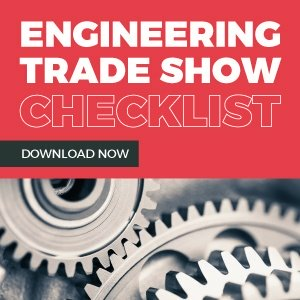 Engineering firms tend to have a number of different audiences and industries they want to appeal to and broadcast their business message to, including project directors or procurement managers across industries such as commercial, manufacturing, and health for example. Each of these target audiences will have various issues they need help with and will benefit from different content and resource offerings. Inbound marketing enables tailored campaigns for each persona, with targeted blogs, content offers, social posts and automated emails etc. to attract and nurture the relevant audience. In a world where the majority of your potential customers are searching online, having an established presence can only be to your engineering firms advantage. Inbound marketing enables you to attract valuable leads to your company, in a non-intrusive manner that traditional marketing methods often fail to achieve. Businesses that cannot be easily found when their target audience begin their buyer research, will undoubtedly be left behind.